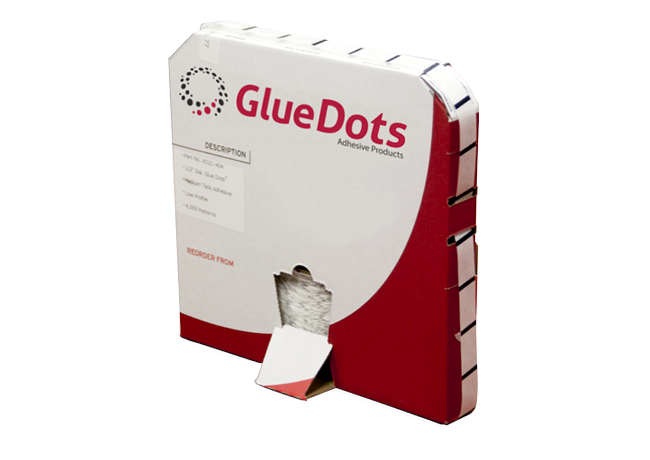 Glue Dots are used for product & package assembly, printing & bindery, direct mail, gift baskets and more! A glue dots is also perfect for scrap booking, ballon decorating, card and candle making and many other types of hobbies and crafts! The uses for glue dots are almost endless. Glue Dots are sticky dots of glue on a roll that vary in thickness and stickiness depending on your application. Glue Dots are extremely cost effective for both consumers and industrial or commercial uses. There is a glue dot for almost every adhesive situation and without the mess of glue or other similar products! Made up of a removable pressure sensitive glue dots 9 mm. available in pratically dispenser box or with a hand applicator (Dot Shot Pro). Is available with three different gluing levels to satisfy the different needs for removability or permanence on the various surfaces.